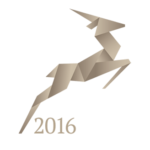 In November 2016, Fermentationexperts received our second Gazelle Award. Gazelle is an award presented by the daily newspaper Børsen and has become a synonym for growing businesses. The definition of a gazelle is a company that over the past four years has had continuous growth in revenue or gross profit and, overall, has more than doubled its turnover or gross profit during the period.